The Final Event of the 2011 Beaver Creek Snowshoe Adventure Series is a Go! The Beaver Creek Snowshoe Adventure Series will wrap for 2011 season this Sunday, March 6 with the annual Jeremy Wright North American Snowshoe Championships. Celebrating the life and achievements of longtime snowshoer and Vail athlete Jeremy Wright, this event will happen in Beaver Creek’s beautiful McCoy Park beginning promptly at 11 a.m. In addition to Sunday’s event, Prevention Magazine and the Beaver Creek Nordic Center are offering free snowshoe clinics to interested participants on Saturday, March 5. Sunday’s Dogma Athletica 10K participants will vie for the title of North American Snowshoe Champion and all participants will pay tribute to Vail’s Jeremy Wright who passed away in 2005 in Afghanistan while serving in the United States Army. Like the previous two events, Sunday’s race will include the East West Resorts 5K Quest, the Dogma Athletica 10K and the Larkburger Kids’ 1K. At this weekend’s event will see the addition of the Prevention Plunge – an all out 100-yard sprint on snowshoes for both males and females for the chance at a $100 cash prize and additional merchandise prizes from Prevention Magazine. The Championships will start and finish at Beaver Creek’s McCoy Park, located at the top of the Strawberry Park Express Lift (#12) and the Upper Beaver Creek Mountain Express Lift (#18). Free shuttles will pick-up participants from any of the Beaver Creek free parking lots and transport them to either the Beaver Creek Landing base area where they can access the Lower Beaver Creek Mountain Express Lift (#18) or Beaver Creek Village where they can access the Strawberry Park Express Lift (#12). No children in backpacks are allowed, and all lift-riders must be able to get on and off the lift using their own strength. Beaver Creek Snowshoe Adventure Series representatives will be located at both base areas handing out foot passes to event participants. The day-of check in and registration tents, as well as demos from Atlas Snow-Shoe Company, will be located at the top of the lifts. Snowshoers who participated in the first two events of the Beaver Creek Snowshoe Adventure Series are still eligible for the prize money from the Dogma Athletica Snowshoe Series Cup as long as they register and participate in the same category at the final event. Following the race, a post-event party and awards ceremony will take place on the Beaver Creek Village Plaza with complimentary food and beverages provided by the Dusty Boot Steakhouse and Saloon as well as raffle prizes. All event participants are eligible to win the post-race raffle prizes courtesy of many of the series’ sponsors, including Atlas Snow-Shoe Company and Dogma Athletica, as well as gifts from numerous Vail Valley merchants. Event pre-registration is available both in-person at Dogma Athletica in Edwards and online at www.bcsnowshoe.com for $30 and closes at 5:00 p.m. on March 5. Participants who pre-register at Dogma Athletica will receive coupons for 10 to 15 percent off on snowshoes from five different retailers in the Vail Valley, including the Beaver Creek Nordic Center, and a free day pass to workout at the training center or to attend one of Dogma’s yoga or Compu-Trainer cycling classes. Event-day registration will be available for $35 and will take place in Beaver Creek’s McCoy Park at the top of the lifts beginning at 9 a.m. The Larkburger Kids’ 1K for children 12 years-of-age and younger is free for any child accompanied by a participating adult. For more information on the Beaver Creek Snowshoe Adventure Series, visit www.bcsnowshoe.com. Atlas Snow-Shoe Company will provide a limited number of free snowshoe demos and basic instruction to participants prior to the event at the event start area. In addition, the Beaver Creek Nordic Center will provide a limited number of snowshoe rentals. All snowshoes are available on a first-come, first-serve basis. Prevention Magazine and the Beaver Creek Nordic Center will host two free snowshoe clinics in Beaver Creek on Saturday, March 5 at 10 a.m. and 1 p.m. 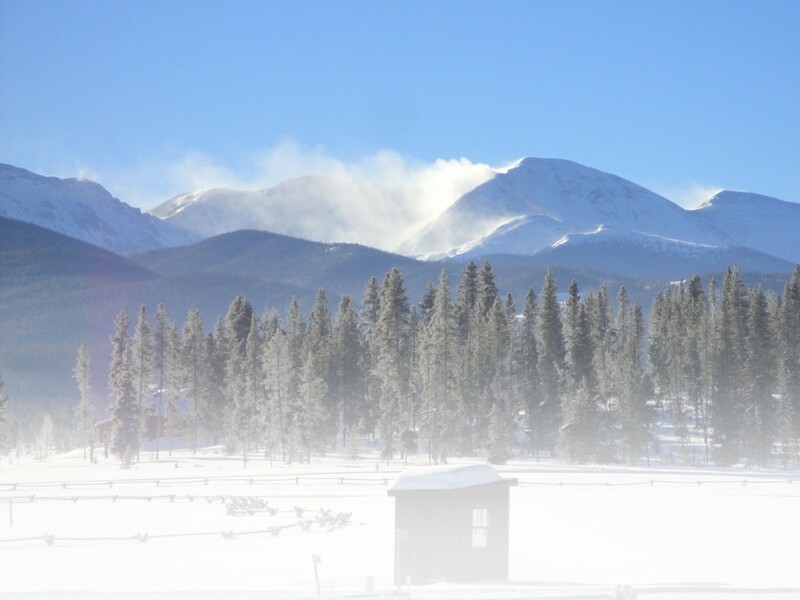 The clinics will be open to snowshoers of all ages and ability levels, and will be led by staff from the Beaver Creek Nordic Center. Interested participants can sign up on Saturday at Prevention Magazine’s Refresh tent in Beaver Creek at the base of the Centennial Lift, which will open at 8:30 a.m. that day. The Beaver Creek Nordic Center and Atlas Snow-Shoe Company will provide complimentary snowshoes to clinic participants as needed. The clinics are an excellent way for people to brush up on their snowshoeing skills before heading out to the Jeremy Wright North American Snowshoe Championships on Sunday afternoon. Space for the Prevention Magazine free snowshoe clinics is limited. This entry was posted in Events, News by Ryan Alford. Bookmark the permalink.